In addition to enhanced seismic performance, the scheme was desirable from an architectural standpoint, says Morten Schmidt, Schmidt Hammer Lassen cofounder. The strategy limited the need for lateral braces, allowing the architects to create flexible floor plates and open the center of the building to a skylit atrium. “Braces would have been a barrier and constraint, but we managed to get rid of them,” he says. In recent years, tools and standards have emerged to assist engineers in understanding the trade-offs and risks implicit in seismic-design decisions. One example is FEMA P-58, a performance-based analysis methodology developed by the ATC and funded by the Federal Emergency Management Agency. It provides quantitative descriptions of damage for both existing and new buildings, considering structural components as well as nonstructural elements, including facades, finishes, and mechanical systems. It helps project teams estimate the repair costs and the amount of time a building might be uninhabitable as a consequence of design choices. It even can help determine the amount of greenhouse gases that would be generated as the result of necessary repairs. The aim is to “couple structural behavior with losses,” says Mar, who is one of many engineers who has served as a consultant on the P-58 effort. First released in 2012, a P-58 update will be published in the first quarter of this year. It will include a new set of design guidelines and, for the first time, a section targeting clients, developers, and other non-engineering decision-makers. 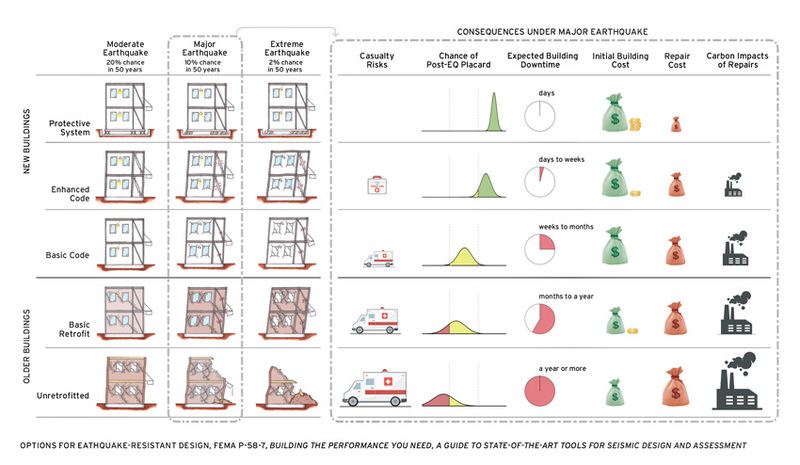 Along with evaluation tools like P-58, LEED-like frameworks to rank building performance in the face of seismic threats have also been emerging, including one created by the nonprofit U.S. Resiliency Council (USRC), and another developed by the engineering firm Arup, known as the Resilience-based Earth­quake Design Initiative (REDi). 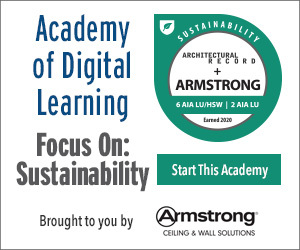 While both the USRC and Arup are working to expand their respective programs to encompass other hazards, such as flooding and high winds, the current versions of both systems are still focused on seismic design and are intended to help teams achieve beyond-code performance. While Arup’s REDi targets high-profile new-construction projects, the USRC’s system is geared for a range of existing as well as new structures. To date, the nonprofit’s certified projects include the seismic retrofit of a ­nondescript retail building in San Gabriel, California, and an elaborate, recently dedicated Mormon temple in Concepción, Chile. “The program is aimed at a broad swath of owners,” says Evan Reis, the organization’s executive director. The analysis tool FEMA P-58 can be used by project teams to understand the trade-offs and risks implicit in seismic-design decisions for both new and existing buildings. It can help them develop quantitative descriptions of initial invest-ment, potential damage, repair costs, and downtime. Casa Adelante (left), under construction in San Francisco’s Mission District, will provide 93 apartments for low-income seniors. It is aiming for USRC Gold certification, with a seismic system that includes dampers (right) developed for the project in New Zealand.